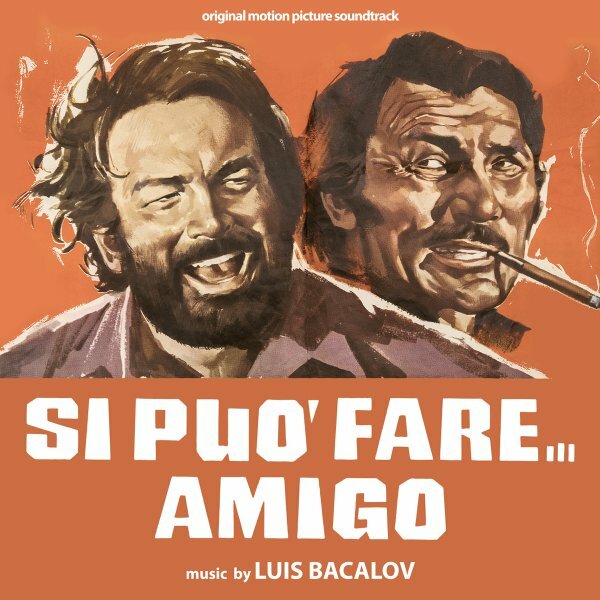 A fantastic Luis Bacalov score for one of the classic films to feature the duo of Bud Spencer and Terence Hill – music that matches the wicked blend of drama and humor that always made their movies so great! The set begins with a great English-language theme – the very catchy "Can Be Done", sung by Rocky Roberts with this raspy vocal that's completely charming – then the music moves into instrumental territory that's awash in the mix of tension and warmth that really could suit a narrative like this so well – with a bit of harmonica from Franco De Gemini, amidst this sweet flow of woodwinds and electric instrumentation, all balanced with a beautiful sense of color and tone. In addition to "Can Be Done", other titles include "Si Puo Fare Amigo", "Guai In Vista", "Amore Nel West", "Buffo Inseguimento", "Festa Al Villaggio", "Valzer Al Saloon", "Il Villaggio All'Alba", and "Pianino Pianino". CD features 2 bonus tracks – the nearly 8 minute "Si Puo Fare Amigo (Suite)" and "Can Be Done (orig single stereo mix)". © 1996-2019, Dusty Groove, Inc.